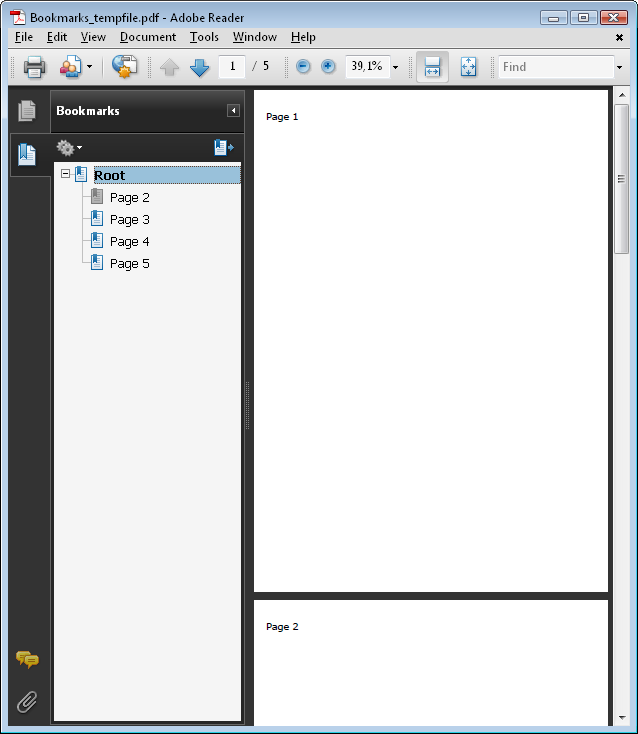 This sample shows how to create bookmarks. Bookmarks are called outlines in the PDF reference manual, that's why you deal with the class PdfOutline. Acrobat uses the term “bookmark” in its English version and “Lesezeichen” in the German version.